If you want to read the judgment, click here. Or open it up in a different window and you can cross-refer to it if you come across anything below you want to explore in more detail. Here are some choice takes from paragraphs 280 to 364 (out of 1122). 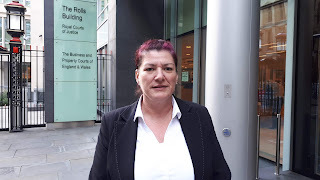 Paragraphs 275 - 328 deal with what happened to Liz Stockdale, Subpostmaster of the Sandsacre Post Office, a branch in Bridlington, East Yorkshire from 8 May 2014 to 16 September 2016. 293. This interview was recorded, as was the Post Office’s practice at the time. Rather oddly – if not, entirely surprisingly – that recording is simply not available. This is because the recording is encrypted, and even though Mr Carpenter said he had not password protected it, and he had no password, the encryption key has been lost. I was somewhat sceptical when I was first given this explanation. 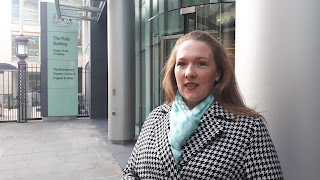 Given both parties have IT experts acting for the Horizon Issues trial, and the Post Office itself has instructed a digital forensics consultancy to assist with e-discovery and technical assistance, I ordered an explanation by witness statement concerning this. The judge is not happy with the witness statement or Mr Carpenter's evidence or lack of evidence about it. Neither the last sentence of 31, nor the last sentence of 33, complies with the rule for witness statements in CPR Part 32.9 and Practice Direction 32. Dr Jenkinson does not say who told him that Mr Carpenter replaced his computer (at 31) and did not have these options available to him (at 33), which means he has not identified the source of his belief or “understanding”. Even when he does make an attempt to identify the source, he should state the person and not simply “Post Office IT”. 294. ... nowhere in Mr Carpenter’s written witness statement did he say that he had recorded his interview with Mrs Stockdale, or that it was his common practice to record interviews, or that he had lost the ability to access that recording, or even that his computer had been replaced. He was asked about this in cross-examination and said “we are not able to open the actual file”, again without reference to a replaced computer. The judge is really not happy about this recording being unavailable to him. 295. 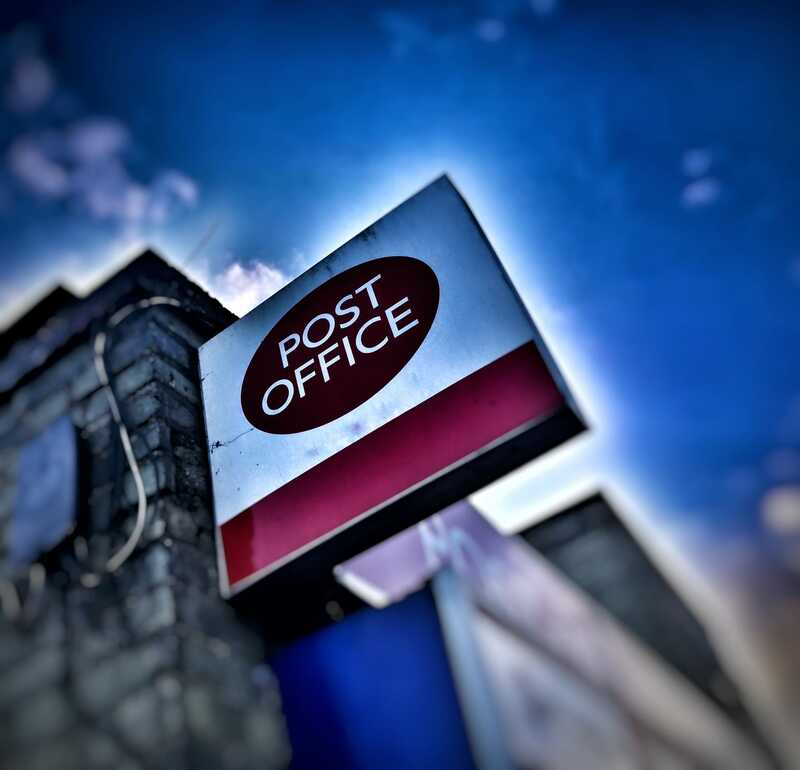 If that replacement took place after April 2016, and if it is because of the replacement that this recording is not available, then that means the Post Office has failed properly to deal with an important record directly relevant to the litigation during the proceedings themselves. 296. Where the evidence of Mr Carpenter conflicts with that of Mrs Stockdale concerning what he covered in the interview, I accept her evidence. 328. I found Mrs Stockdale to be a careful and accurate witness, and I consider she was telling me the truth. Judge's findings arising from Louise Dar's evidence. 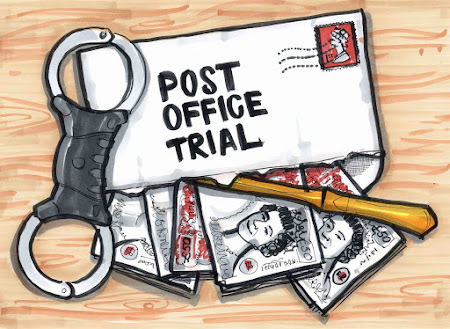 314.3 The Post Office in these proceedings were desperate to maintain that these contracts were purely “business to business” and in doing so wholly ignored, and disparaged, the human element involved both in purchasing a business and also in becoming a SPM. 314.5 5. ... Mrs Dar’s evident astonishment during this cross-examination at being told the Post Office was “actually very straightforward” is entirely well-founded. She had registered with the Post Office a number of expressions of interest in her branch. The Post Office had either lost at least three of these, or its online systems had failed to deal with them correctly. She had received e mails stating they attached documents when they did not, and the Post Office had told her they had sent important documents such as her draft contract which just did not arrive. When she chased up all of these instances, she was either disbelieved (with the online registration) or the faults were blamed on her (viz “we issued a contract for Lenzie however the PNO has since moved house and failed to tell us, so we sent it to the wrong address”). At every turn, at least so far as Mrs Dar was concerned, the Post Office had showed its level of administrative competence to be at the very bottom end of the scale. 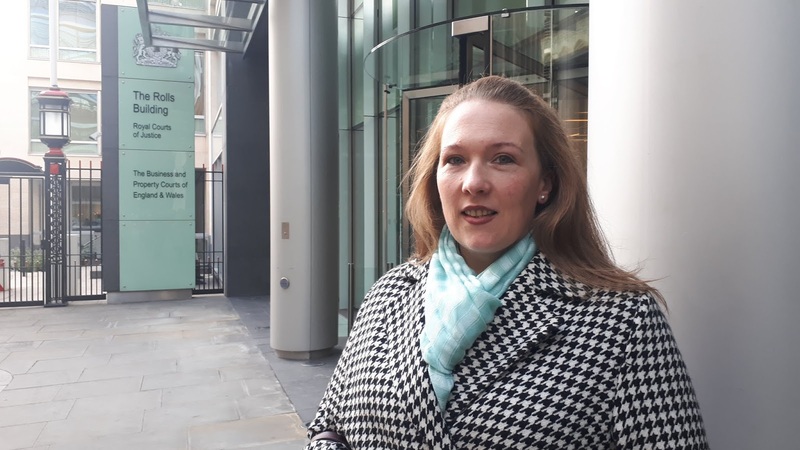 Yet she was told it was “actually very straightforward” and the Post Office submitted to the court that “she tried to pretend the documents were confusing – when they were clearly not”. I find that the suggestion that the Post Office was “very straightforward” in Mrs Dar’s case not to be founded in fact. 348. This sheet [“Horizon Online Cash Declarations - Top Tips Guide”] shows that the Post Office was aware at that time of widespread failures in cash declarations – on average 1,000 branches per week – and that “the majority of failed declarations occur on a Saturday or Sunday”, that “failure to make a correct declaration will result in inaccurate planned orders or planned returns” and also that overnight software drops would make inactive stock units active. Such points may, or may not, prove to be notable in the ultimate resolution of these proceedings. 351. The astute will note continuing reference to the non-existent book of rules. She was told she had to sign it in order to have the branch transferred to her so that it could be opened, and no part of this (or any of the other documents presented that day for signature) were explained to her. She was also given the Operations Manual and told to read it. Mrs Dar does not believe she was given this prior to branch opening day and I accept that evidence. Other documents were also presented for signature by her that day without explanation. 356. ... “Sorry to be a pain. I know how busy you are. Got a feeling the SPMR will be contacting you about this shortly. See email trail. Basically she can't find the Rem in slip so she is het [sic] for £2k of coin. She is adamant that it is scanned in and has other receipts that prove this. Also she says the driver wouldn't leave without it being scanned and signed. Not sure where she goes next. It seems the business are telling her she never scanned it in so you owe us the £2k. This is the same SPMR that we were asking for £9k for remming in wrongly. It was discovered that it was the trainer and all ended up ok. You can imagine what she thinks of PO. The judge accepts all of her evidence as true apart from two instances where he believes she is mistaken.